While this organization is US-based, the tool discussed in this webinar represents the next phase of a research-based initiative to develop a reliable and valid blended learning instrument. CANeLearn encourages its members to attend this session tomorrow. Blended teaching — which combines online and in-person instruction — is becoming more commonplace in K-12 schools. 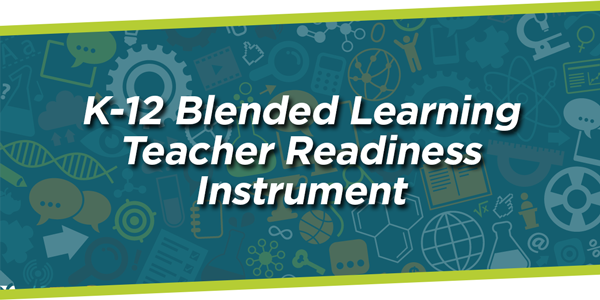 In this webinar, we share the results of a two-year long project to develop an instrument for evaluating K-12 blended teacher readiness. We provide list of core competencies for blended teaching, along with resources can be used in professional development for in-service or pre-service teachers.. This webinar will be hosted on Zoom — so please use the live chat feature to ask questions and leave comments.